Technology has been the major driving factor for the recent changes in the design of office spaces. Unlike the earlier days where people had to work in cubicles or cabins, people are now working in unconventional spaces like corridors and other open spaces. The major disadvantage with such a change is the fact that it is not easy to design a proper wiring layout for such locations without it being a nuisance. This is why it is best to opt for a wireless solution in such a scenario. It is not just in this scenario, but offices that want to stay progressive with the changing times should definitely opt for these solutions. Some people may be apprehensive about wireless displays having latency issues and not being efficient enough but times have changed and so have these factors. It is happening now and it is happening everywhere. Wireless displays are helping organizations like schools, offices, businesses, start-ups and scaleups to make their meetings more efficient and utilize the displays when not in use through dashboards and digital signage. The word itself states the most obvious advantage. Wireless displays have no wires and that itself is one of the most sought-after features. With absolutely no requirement for wires, it eliminates the requirement for different kinds of cables that are used to connect the device used for presentation to the screen. K2Space conducts studies about office design trends and according to them, one of the most popular trends of 2018 is the introduction of open collaborative spaces. You might be wondering what this term means, and it is nothing but a meeting room, but not a room in the literal sense. It can be anywhere in the office, with comfortable seating and well-arranged equipment which obviously includes screens with proper sharing capabilities. Screens with proper sharing capabilities are of utmost importance because in such spaces time is of the essence and people want to present and brainstorm on the fly. The whole idea behind a collaborative space has been around for quite a while, but the way in which it is placed is of utmost importance. Such a space would be centrally located and can be seen by every person in the office. This promotes transparency while collaborating and sharing ideas. With that said, let’s talk a bit about how you can implement such a space. Screen sharing capabilities are very restricted with most displays. For that, we have Airtame, which is a wireless screen mirroring solution that can transform the capabilities of any wireless display. Think about the case of an office with various people carrying different devices running on different platforms. Some may even carry their presentations on their mobile phones. 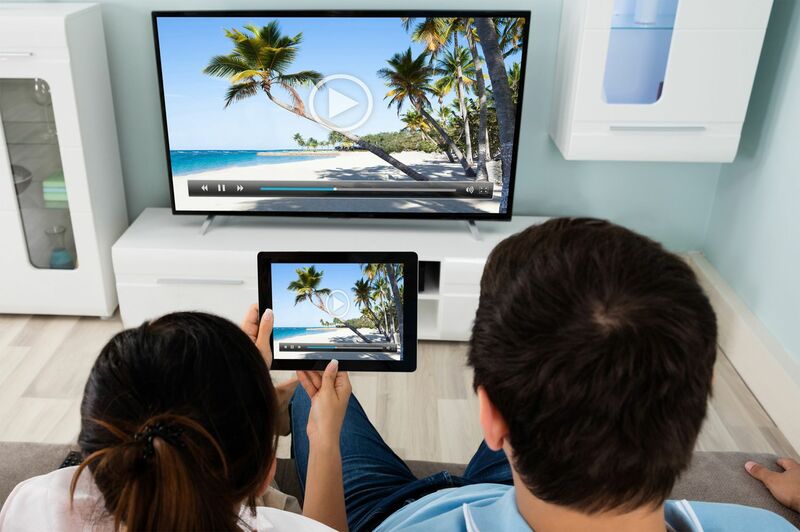 With Airtame, wireless screen mirroring becomes a breeze irrespective of the device they own and the platform it is running on. The Airtame app can be downloaded on the required device, whether it is running Windows, Mac OS, Linux and even iOS or Android. The next step would be to plug in the Airtame device in the HDMI port of the screen and connect it to the shared network. All it takes is just two seconds and a couple of clicks to start screen mirroring. It’s not just about being able to present wirelessly. The screens might not be used all the time. In such cases, it is useful real estate that is being wasted. Airtame has a solution to this as well. Airtame supports different performance dashboards that can be efficiently utilized for displaying important statistics, company goals and achievements. That’s not all, Airtame also supports homescreen apps with its latest firmware update which include Unsplash, Slides, World Clock and Google Slides. Being wireless also means being easier to maintain. With the Airtame, it becomes even simpler due to its cloud management tool that allows IT admins to configure and monitor every Airtame device remotely. With all these advantages, it is pretty evident that wireless displays and wireless solutions in general are superior in comparison to their wired counterparts. They say that the future is wireless, and it is high time you take the first step in ensuring that you stay relevant with changing times.